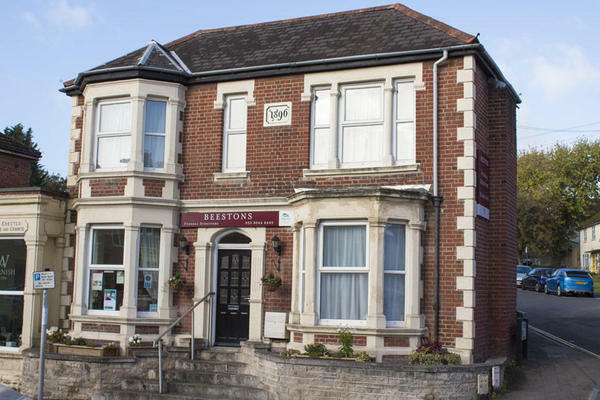 Beestons Funeral Directors in Woolston offers a range of compassionate funeral services to our community here in Southampton. If you need to arrange a funeral, our professional team is here to help. Losing somebody close can be emotionally draining, placing additional pressure on the already difficult process of arranging a funeral. That is why we take care of everything, allowing you the time to concentrate on your own well-being. Your wishes for the funeral matter to us and we will tailor the service so that it is in accordance with your instructions, including any special requests that reflect what your loved one meant to you. Established in 1906, our funeral directors has long been a source of support to local families in a time of need. Our funeral home is situated on Bridge Road in Woolston, with our location making us easily accessible to the surrounding suburbs of Southampton and the villages beyond. These include Midanbury, Thornhill, Bursledon and Netley. There is a chapel of rest on our premises, where you can spend time with your loved one in comforting and private surroundings. We will always be here to listen and talk when you need us. To arrange your loved one’s funeral, call us today. Call us today on 023 8044 8405 to talk through your personal requirements. We are towards the railway station end of Bridge Road, at the corner with Defender Road. Our staff are available 24 hours a day on 023 8044 8405 if you require our services outside of these hours. Excellent service, Julie at Beestons is the best, 5 STAR on all aspects of the funeral. A BIG THANK YOU to Beestons for their caring and supportive service, all of their staff go the extra mile to make sure our needs were met, which helped to take the pressure of the family at a difficult time. the attention to detail and the suggestions they gave us, helped us all in giving MUM the very best send off. I would highly recommend beestons funeral service. very professional, caring and supportive.